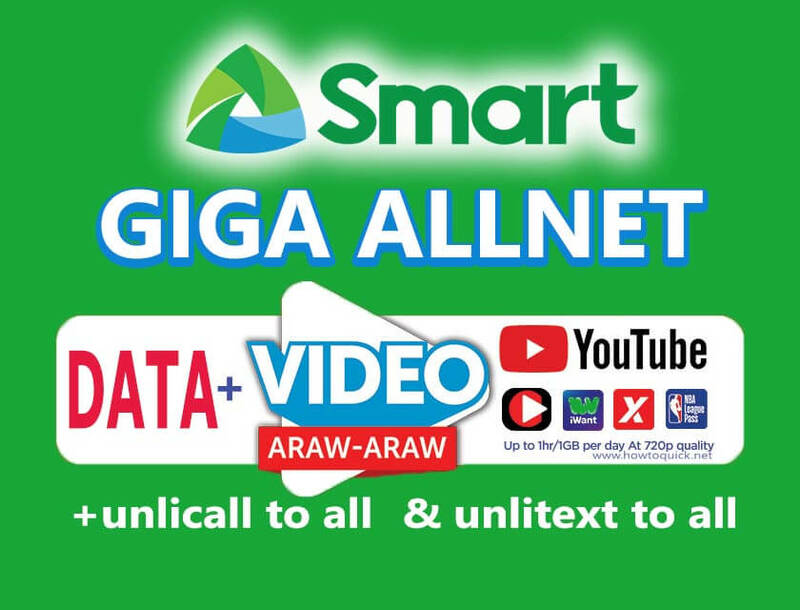 If you’re looking for an all-in one promo offer from Smart Prepaid, try out the new GIGA ALLNET bundle. You can have open access data that you can use to browse your favorite websites and connect using social media apps. It also includes Smart free YouTube offer for streaming on select apps (iflix, iWant TV, NBA League Pass and Cignal TV) every day for up to 1GB. Another additional services included on this promo is the unlimited texts and calls to all networks. That means you can call to Globe, TM, Sun Cellular, Smart and Talk N Text without worrying the interconnection charges. You subscribe to this promo by following the USSD method below. Select More for other offers. Also available in much cheaper Smart GIGASURF Plus promo bundles. Make sure you receive the notification from Smart that’s says your subscription is already active and ready to use before you start using the promo. You can do a balance inquiry steps to check if your account has still enough load to avail on any of the above package.